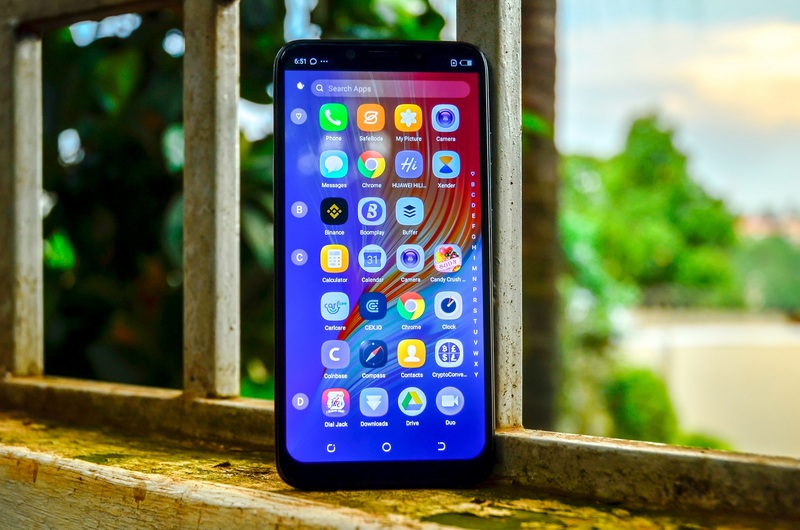 Last week, we received the Tecno Camon 11 Pro for a review. 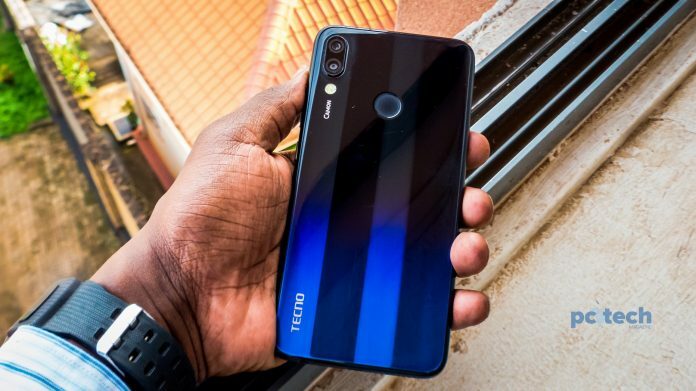 But to recap this handset, Tecno Mobile announced the handset in Sep. 2018 and officially released in Nov. along side the Tecno Camon 11. Joining the Tecno camon series, the two dubbed ‘super-smartphones’ are successors of the Tecno Camon X and X Pro. Tecno claims the handsets are created for customers who follow the latest technological trends and want to stand out. With the new integrated AI technology—enables customers to do more with these phones and have fun at the same time. In our quick review, we pointed out the camera, hiding the notch, memory, among others that first impressed us. It comes in Nebula black color option at a RRP of UGX899,000—available in all Tecno outlets. The build of the Camon 11 Pro is impressive with a gradient back cover—overall, packs a premium look. Out-of-the box, don’t be fooled thinking its glass, but rather poly-carbonate plastic. It has a 6.2-Inch IPS LCD display with a screen resolution 720 x 1500 pixels. This was one of the disappoints looking at the fact its predecessor the Camon X Pro is full HD. However, the videos and picture quality still look clean and crisp while on display. To mention, the colors are balanced. While design-wise, the 6.2-Inch display comes off less bezels to create more space for display. 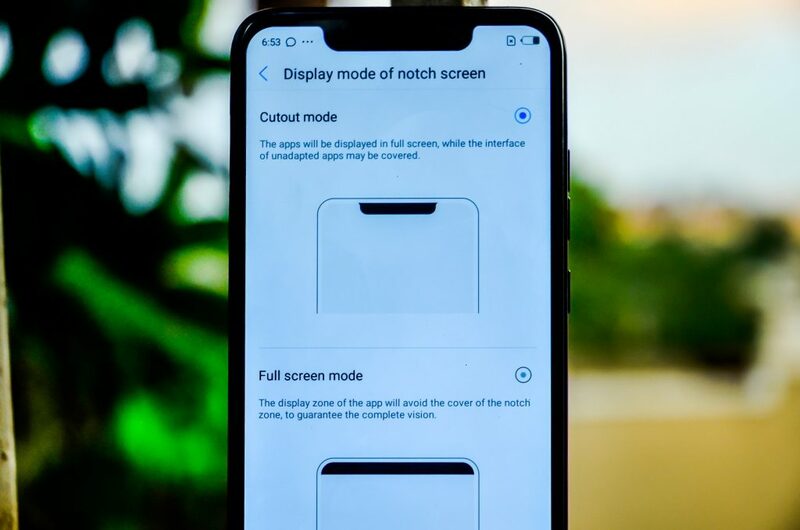 The notch is software based, and can be hidden for consumers that aren’t fans of the feature. However, on hiding the notch, the top bar doesn’t match the bottom, which to many (like me) would decide to leave the notch seen. Meanwhile, the SIM & MicroSD card tray appears on the left, the volume and power buttons appear on the right. At the bottom, a single speaker grill, USB port, and a 3.5mm headphone jack. At the top, you’ve nothing. At the top bar with the notch, is the AI powered 24MP camera with an aperture of f/2.0—26mm (wide) and LED flash support. The back has the dual rear camera at 16MP with an aperture of f/1.8, 25mm (wide), and a secondary AF 5MP with an aperture of f/2.4, depth sensor, and a LED flash. The rear camera are setup in a vertical design. Seen is the Camon branding just below the flash. Consumers can choose to hide the notch on Tecno Camon 11 Pro if the wish not to have it on. In overall, the performance is average and this reflects in benchmarks too (73980). Scrolling through, the phone is smooth, we only countered staggering on multi-tasking when we had a game app running in the background. Having installed Need for Speed and FIFA, we noticed on opening the application, some frames we skipped and took about a minute to launch the full play. 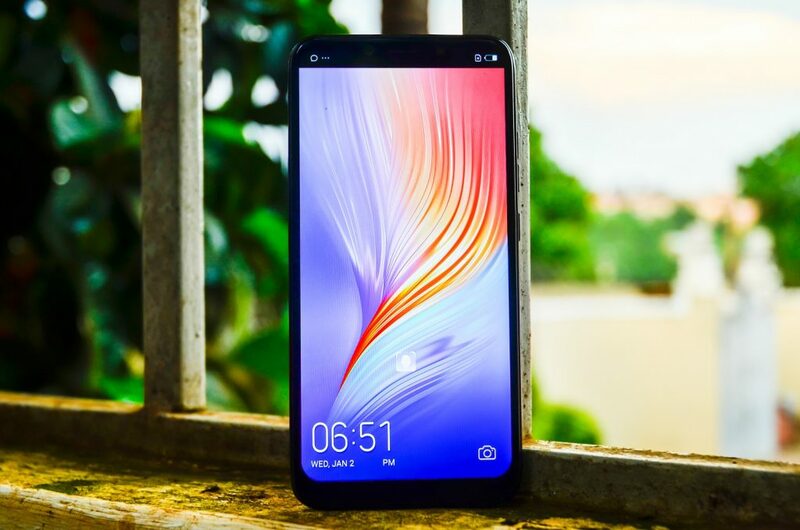 The performance of the handset is backed on a 12 nm Mediatek MT6762 Helio P22 chipset, Octa-core 2.0 GHz Cortex-A53 processor that powers the performance paly—coupled with 6GB RAM and 64GB internal storage. The internal storage is expandable with a microSD card of up-to 128GB. Tecno indeed tried to optimize the RAM to manage the memory management efficiently. At the perspective of the battery, the Camon 11 Pro has a non-removable 3750mAh Li-Ion battery. As we mentioned before the Camon 11 Pro is capped at 720p display—and its combination with the battery mean you at least get day usage of the smartphone on a single charge. 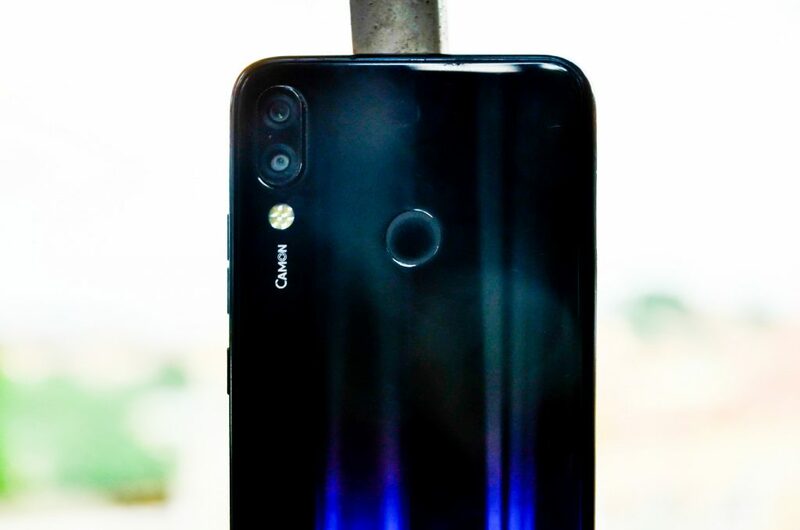 The Camon 11 Pro comes with Android 8.1 (Oreo) which is topped on with the company’s HiOS skin v.4.1 The HiOS v4.1 looks clean and good—Tecno indeed improved the skin to look more flat with light colors which are balanced. Minus giving it a hype, the skin still needs more polishing, looking at the top and apps not matching the notch. Everyone’s desire. The camera has become the most important feature after the memory on any smartphone. Smartphone manufacturing are investing a lot of resources and time to produce better camera for better performance. Tecno for every of its handset claims to improve the camera, and the company does try indeed. 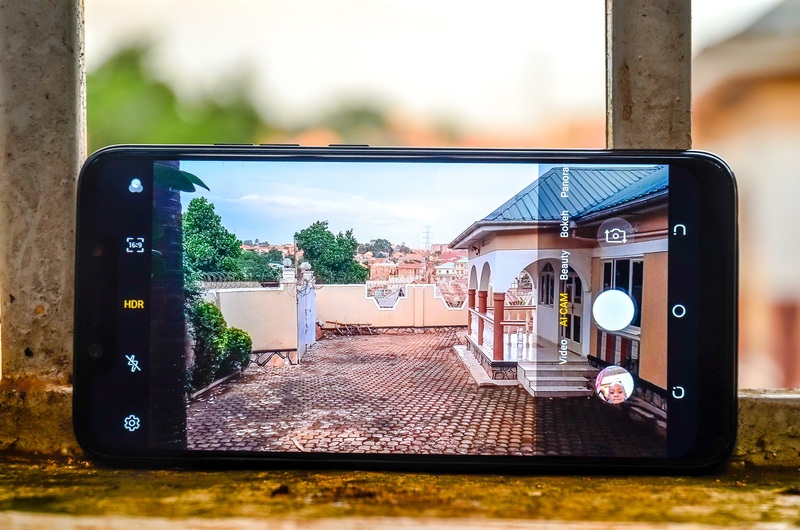 Pictured using the Tecno Camon 11 Pro to take a photo using its dual rear camera. The dual rear camera at 16MP—25mm (wide) with an aperture of f/1.8, and a secondary AF 5MP depth sensor with an aperture of f/2.4. The front camera comes at 24MP,—26mm (wide) with an aperture of f/2. The rear cameras features a Quad-LED dual-tone flash—on the video part, shoots 1080p at 30fps. Meanwhile the front camera features a LED flash, and shoots 1080p at 30fps in video as well. The cameras come with AI-powered operational features like AI Bokeh effect, AI HDR, and AI automatic scene detection. Dual rear camera of the Tecno Camon 11 Pro. The camera performance in general was good. Packed with all these AI features, you expect to get better and crisp pictures. The Tecno Camon 11 Pro is perfect. It’s perfect to upgrade to. 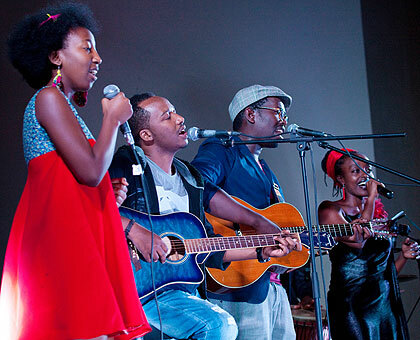 However, the problem comes at the pricing tag—starting at a RRP of UGX899,000 is a bit high and steep. This kind of price draws away a good percentage of people looking at the fact that consumers are looking for budget friendly smartphones. I believe UGX650,000 would have been a much better price.